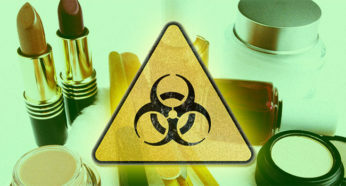 Chemicals in Personal Care Products: Are Your Cosmetics Safe Enough? “Personal care products” is the term usually used by people to refer to variety items found in health and beauty sections of stores. These include but not limited to items like shampoo, body lotion, toothpaste, shaving cream, as well as other cosmetics such as lipsticks and eye-makeups. There are estimated eight billion personal care products sold annually and the industry creates more than 200 billion dollars of gross domestic product (GDP) value in the United States. Personal care products expose people to multiple chemical ingredients everyday simply via using them: in America, that means an average of twelve personal care products that contain 168 different chemicals for women, and six personal care products that contain 85 different chemicals for men. Personal care products play a very intimate role in our daily life and most of them will come to contact directly with our skin, hair, and other body organs eventually. However, in despite of the high volume of use and the safety concerns, many chemicals in personal care products are not subject to either statutory or regulatory restrictions. According to Food and Drug Administration (FDA), products “intended to cleanse or beautify are generally regulated as cosmetics,” therefore, are not subject to premarket-approval from the agency. Moreover, the laws governing the safety of personal care products have not been substantially updated since 1938. Due to the outdated statutory requirement, FDA has prohibited or restricted only eleven ingredients from use in personal care products which is far less than the number of chemicals that have been actually put into the industry. The FDA’s lack of power over these personal care products also reflects in the case which a nine-year-old child lost most of her hairs after using one celebrity-endorsed hair product for only three times. After receiving 127 complaints from the consumers, FDA issued a safety alert on this line of hair cleaning products and pointed out that thousands of complaints were received by the hair products company. However, while about twenty-one thousand consumers claimed to encounter health problems including hair loss and allergy reaction like itching and rashes, FDA does not have the authority to recall these products. The health risks of personal care products are well acknowledged by many other countries. For example, the European Union has banned more than 1,300 chemicals from personal care products and restricted an additional 256. This number is far higher than the eleven restrictions and prohibitions mentioned above in the United States. In addition to health risks, environmental concerns should also be taken into consideration. Furthermore, the needs to have a uniform standard for the cosmetics industry to follow are too addressed by a lot of small business owners. In light of the risks imposed to the society, personal care products should be subject to stricter and updated statutory and regulatory requirements. Particularly, granting more authority to FDA would enable the agency not only to stop products with potential risks at the frontend but also to respond efficiently and effectively once any harm or risk is realized. From the aspect of protecting consumers, American people deserve to have a safe and reliable market environment that is at least equally regulated as those in other countries. From the other aspect of the personal care products industry, it would also promote American businesses’ long-term competitiveness wherever they are selling their products domestically, exporting, or operating in the international markets all over the world. See U.S. Food and Drug Administration (FDA), http://www.fda.gov/ForIndustry/FDABasicsforIndustry/ucm238796.htm (last visited Oct. 19, 2016). See Exploring Current Practices in Cosmetic Development and Safety: Hearing Before the S. Comm. on Health, Educ., Labor, & Pensions, 114th Cong. (2016) (statement of Sen. Lamar Alexander, Chairman, S. Comm. on Health, Educ., Labor, & Pensions); see also Personal Care Products Council, Economic & Social Contributions Report 3 (2016), http://www.personalcarecouncil.org/sites/default/files/PCPC%20FINAL%20Economic%20&%20Social%20Contributions%20Report%20-%20Web.pdf (“in 2013, the personal care products industry added $236.9 billion to U.S. GDP”). See Exploring Current Practices in Cosmetic Development and Safety: Hearing Before the S. Comm. on Health, Educ., Labor, & Pensions, 114th Cong. (2016) (statement of Scott Faber, Senior Vice President for Government Affairs, Environmental Working Group). See FDA, Supra note 1. See Exploring Current Practices in Cosmetic Development and Safety: Hearing Before the S. Comm. on Health, Educ., Labor, & Pensions, 114th Cong. (2016) (statement of Sen. Dianne Feinstein, S. Comm. on Health, Educ., Labor, & Pensions); See also, e.g., 21 U.S.C. § 361 (LEXIS through Pub. L. 114-244). See Exploring Current Practices in Cosmetic Development and Safety: Hearing Before the S. Comm. on Health, Educ., Labor, & Pensions, 114th Cong. (2016) (statement of Sen. Dianne Feinstein, S. Comm. on Health, Educ., Labor, & Pensions). See Breast Cancer Fund, http://www.breastcancerfund.org/clear-science/environmental-breast-cancer-links/cosmetics/ (last visited Oct. 20, 2016) (“[i]n the U.S., major loopholes in federal law allow the cosmetics industry to put thousands of synthetic chemicals into personal care products”). See Daily Hornet, Colorado Mom Says WEN Shampoo Caused Daughter to Go Bald (Oct. 19, 2016), https://dailyhornet.com/2016/colorado-mom-says-wen-shampoo-caused-daughter-to-go-bald/. See FDA, WEN by Chaz Dean Cleansing Conditioners: FDA Statement – Investigation of Adverse Event Reports (July 19, 2016), http://www.fda.gov/Safety/MedWatch/SafetyInformation/SafetyAlertsforHumanMedicalProducts/ucm511890.htm; see also Tina Sigurdson, FDA Investigating Hair Care Products Linked to Balding But Can’t Stop Sales, Enviroblog (July 26, 2016), http://www.ewg.org/enviroblog/2016/07/fda-investigating-hair-care-products-linked-balding-cant-stop-sales. See Tina Sigurdson, FDA Investigating Hair Care Products Linked to Balding But Can’t Stop Sales, Enviroblog (July 26, 2016), http://www.ewg.org/enviroblog/2016/07/fda-investigating-hair-care-products-linked-balding-cant-stop-sales. See Scott Faber, supra note 3. Dr. Frank Lipman, Major Risks From Cosmetics & Personal Care Products, http://www.drfranklipman.com/risks-from-toxic-ingredients-in-cosmetics-personal-care-products/ (last visited Oct. 20, 2016). National Institute of Environmental Health Sciences, http://www.niehs.nih.gov/health/topics/agents/endocrine/ (last visited October 20, 2016). Scott Faber, supra note 3. See Sen. Dianne Feinstein, supra note 6. See, e.g., Alistair B.A. Boxall, et al., Pharmaceuticals and Personal Care Products in the Environment: What Are the Big Questions, 120 Env’t Health Persps. 1221–29 (2012). See Exploring Current Practices in Cosmetic Development and Safety: Hearing Before the S. Comm. on Health, Educ., Labor, & Pensions, 114th Cong. (2016) (statement of Curran Dandurand, CEO & Co-founder, Jack Black, LLC) (“the science establishing ingredient safety should not change from state to state, therefore it does not make sense to allow varying state regulations regarding cosmetics”).